With the spring athletics season quickly approaching, many coaches and athletic directors will be looking to purchase new uniforms for their baseball, softball, lacrosse, and track & field teams. With so many options to choose from – where do you begin? There are many brands out there that offer a range of stock uniform options which are available in basic team colors and simple patterns and are usually available at once providing a quick turnaround. However, if you have the type of team that wants a unique look, with more complex color combinations, look for a team dealer that can provide you with Under Armour or Adidas custom uniform options. 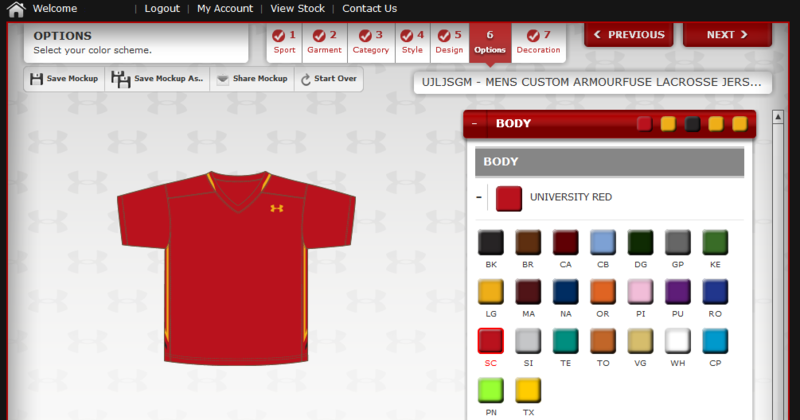 Both Under Armour and Adidas offer two different methods of custom uniforms. The most traditional are custom Cut-and-Sew uniforms for which you can choose the colors for just about every panel that makes up the garment. But newer and growing in popularity are Sublimated custom uniforms. Sublimation means that the colors, patterns, logos, and numbers are dyed directly into the fabric of the garment, making for a very durable and lightweight uniform option. With sublimation, your design options are endless and are included in the price of the item! Under Armour’s version of sublimated uniforms is called ARMOURFUSE which is a lightweight 4-way stretch, moisture transport fabric with maximum breathability and will have your brilliant team colors permanently fused directly into the textiles. ARMOURFUSE is available in many different patterns for spring sports such as Baseball, Softball, and Lacrosse. This option usually costs 30-40% more than a basic stock uniform, and be sure to order in plenty of time as these custom uniforms take 10-12 weeks to process and ship from Mexico. The minimum number for an ARMOURFUSE order is at least 6, which is a rather low quantity providing for small fill-in orders year after year. If your team may be interested in designing a custom sublimated uniform, Under Armour’s Team Uniform Builder can be used to create your design, save it, and share it with your trusted, reliable Team Dealer who can help you get a quote and order generated. 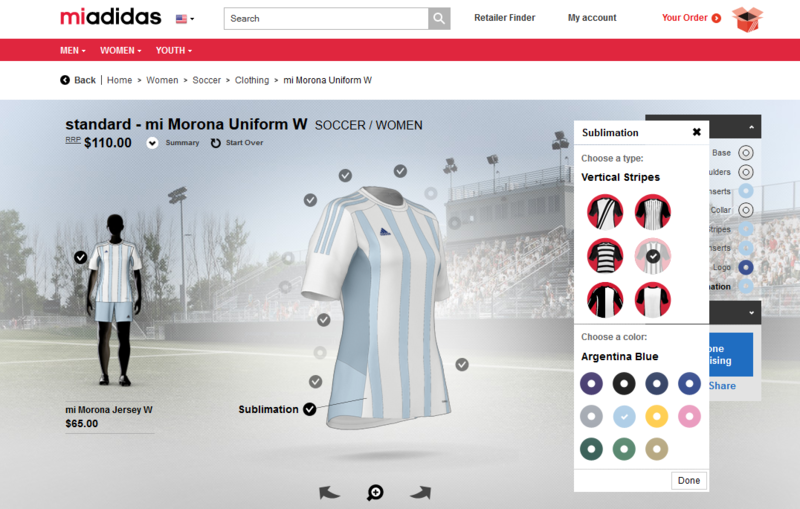 Adidas has similar custom options with their miTeam program where you can take existing patterns and plug in your team colors to create a custom version of their stock options. 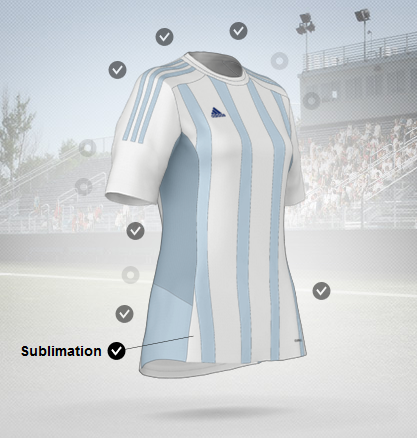 The Adidas fabric is 100% polyester catatonic dye fabric to mitigate color migration. Adidas miTeam is available for Baseball, Softball, and Lacrosse, but is also very popular in the Track & Field category. Their sublimated singlets and shorts are available in men’s and women’s styles and provide very unique patterns to give your runners a stealth look. MiTeam custom designs can also be created at www.miteam.com. Send your final design to your Team Dealer for their expert opinions and service. The turnaround time for all miTeam products from Adidas is 8 weeks on average. Adidas and Under Armour produce a high quality product whether it is a stock uniform or fully customized, inked and dyed product. But if you have the time and budget, the custom options are well worth the price as your team will be sporting a one of a kind uniform, looking great and playing with confidence!